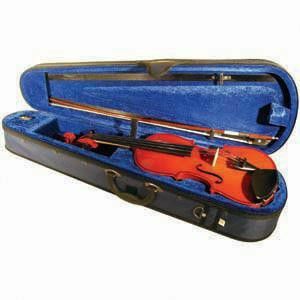 The MDN600V Violin Outfit is a hand crafted student violin with solid spruce top and stained maple back, sides and neck. Ebony fingerboard and pegs. Plastic fine tuner tailpiece. Ebony chin rest. Brazilian wood bow and plush case.